Earlier this summer, Advance CTE in partnership with Education Strategy Group (ESG) and the Council of Chief State School Officers (CCSSO), released two profiles highlighting how states were integrating career-ready indicators into their accountability systems, specifically Progress towards Post-High School Credential and Assessment of (college and career) Readiness. Today, we are releasing the final two of these profiles aligned with the remaining categories in Destination Known: Valuing College AND Career Readiness in State Accountability Systems: Co-Curricular Learning and Leadership Experiences and Transitions Beyond High School. The Co-curricular Learning and Leadership Experiences profile focuses on how states like Georgia, Oklahoma and South Carolina are measuring work-based learning within their accountability system, while the Transitions Beyond High School profile explores how Colorado and Missouri are holding schools accountable for learners’ post-high school success in college and careers. While these are newer indicators and less likely to be included in states’ accountability systems, they are a critical to measuring college and career readiness in learners. In a recent nationwide education poll, 90 percent of surveyed Americans said it is extremely or very important for schools to help students develop good work habits. In turn, state education agencies have begun to focus on both college and career readiness to help prepare students for their futures. One popular strategy is work-based learning, which allows students to reinforce and deepen their classroom learning, explore future career fields and demonstrate their skills in an authentic setting. Today, Advance CTE released a comprehensive guide â€” building on the “Connecting the Classroom to Careers” policy series â€” to help policymakers develop and implement a statewide vision for work-based learning. The guide provides key considerations and guiding questions to walk state policymakers through the steps of building and scaling a high-quality work-based learning system, drawing on examples from states such as Tennessee and West Virginia to highlight innovative solutions to common challenges. 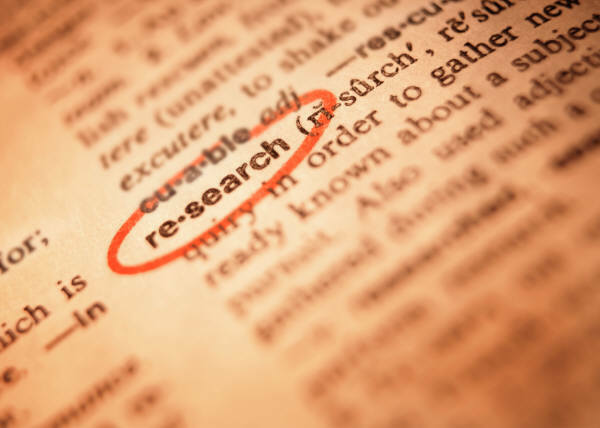 The paper not only builds upon earlier briefs in the “Connecting the Classroom to Careers” series, but also ties them together into one comprehensive and easy-to-use guide. To get started, states must develop a statewide vision for work-based learning and get buy-in from all relevant stakeholders. Tennessee, for example, embarked on a campaign to overhaul its work-based learning programs and establish a framework that would be more inclusive and relevant for students in the state. 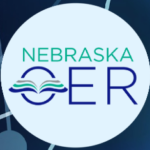 This resulted in a new, shared vision that prioritizes career exploration, career advisement and hands-on learning for all students â€” not just those enrolled in Career Technical Education (CTE) classes. Yet setting a vision is only the first step. To ensure the vision is implemented successfully, states must create a policy environment that allows work-based learning programs to thrive. One of the biggest challenges that states face in expanding work-based learning opportunities is overcoming legal barriers, such as child labor laws and safety requirements, that make businesses reluctant to hire high school students. New Jersey demonstrates how state agencies can work together to develop a regulatory framework that supports, rather than inhibits, work-based learning opportunities. One product of inter-agency collaboration in the state is the New Jersey Safe Schools project, a comprehensive health and safety training for CTE teachers. 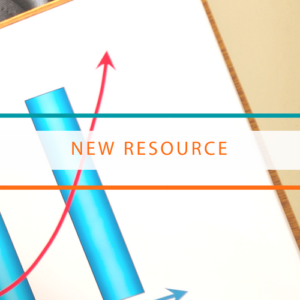 The guide further explores how states can expand work-based learning by partnering with intermediaries to facilitate partnerships between educators and employers for the ultimate benefit of a studentâ€™s career exploration and skill development. Intermediaries can be either independent organizations or, in the case of Georgiaâ€™s Youth Apprenticeship Program (YAP) Coordinators, individuals who are based within the school or district. 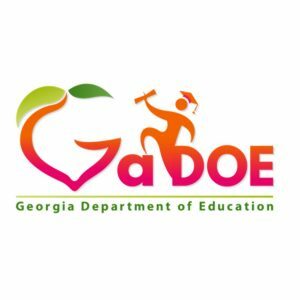 Georgiaâ€™s YAP Coordinators are funded by a competitive state grant and help support the full range of work-based learning activities for local students. 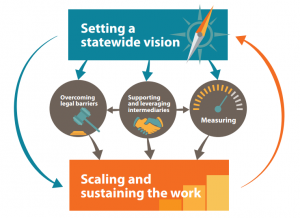 Once a statewide vision is in place and early implementation has begun, state policymakers should consider how to measure and scale work-based learning. There are two common approaches states take to building a comprehensive measurement and data-collection system: a systems-level approach that examines and evaluates the quality of the program, and a student-level approach that measures student learning and skill attainment. Through its School to Career Connecting Activities Initiative, Massachusetts has built a system to collect pre- and post-evaluations of student skills to determine both the professional and technical skills that students gain over the course of their work-based learning experience. This allows the state to assess difficult-to-measure student outcomes such as accepting direction and constructive criticism or motivation and taking initiative. Collecting and evaluating program data enables states to not only identify promising practices but also to scale them statewide so that all students can access high-quality work-based learning experiences. One example profiled in the guide is West Virginiaâ€™s Simulated Workplace program, which began in 2013 as a pilot program in 20 schools across the state. The Department of Education gradually scaled the program, spending time evaluating and refining processes and policies along the way, to reach 60 schools â€” and more than 500 classrooms â€” by 2015. 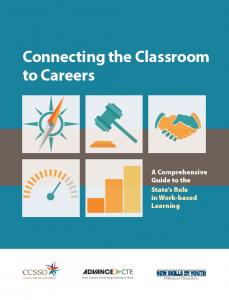 There is no single way to build and scale work-based learning programs, but Advance CTEâ€™s latest publication, â€œConnecting the Classroom to Careers: A Comprehensive Guide to the Stateâ€™s Role in Work-based Learning,â€ can help states get started. The guide identifies essential strategies in work-based learning programs across the states and provides key takeaways and guiding questions to help states tackle common barriers. While work-based learning is a proven strategy to help students build technical and professional skills, policymakers should draw on examples from other states to thoughtfully build and scale a high-quality work-based learning system. The Appalachia Regional Comprehensive Center and Advance CTE are co hosting a webinar, Kentucky Gets Students on TRACK with Youth Apprenticeship, to discuss TRACK, Kentuckyâ€™s Tech Ready Apprentices for Careers in Kentucky youth pre-apprenticeship program. Speakers will provide information about registered apprenticeship and pipeline needs and issues from employer and student perspectives, including outcomes and lessons learned. Check out our latest installment of Connecting Classroom to Careers: Leveraging Intermediaries to Expand Work-based Learning. This brief explores the role of intermediaries at the school, region and state levels, who coordinate between educators and employers to develop critical work-based learning opportunities for students taking an in-depth look at South Carolina and Georgia. Earlier this month,Â the House Education and the Workforce Committee unanimously passed legislation to reauthorize the Perkins Act. With the Association for Career and Technical Education we developed a summary and analysis of this legislation available here. Closing the skills gap can be solved by applying supply chain management ideas to the talent pipeline, says the U.S. Chamber of Commerce Foundation (Chamber) in a new white paper. At an all-day event at its Washington, DC office, the Chamber called on employers to fundamentally change their relationship with education and workforce providers by taking on a much more active role â€“ or even the lead â€“ to ensure a steady flow of qualified workers. Those two messages carried through the day as stakeholders from K-12, postsecondary, workforce providers and employers discussed the challenges of aligning needs and balancing priorities while also highlight successes across the country. During the keynote address, Harvard Business Schoolâ€™s Joseph Fuller reminded the attendees not to expect immediate changes, because â€œ30 years got us here â€¦ this wonâ€™t be solved in 30 days.â€ Citing the theory of collective action, Fuller said such comprehensive change must be institutionalized for it to work and none of it will be easy. Much of the dayâ€™s discussion focused on how workforce training and postsecondary programs can work with local and regional employers on pipeline problems. However, one panel, featuring Georgia State School Superintendent John Barge, discussed how K-12 fits into the talent pipeline. 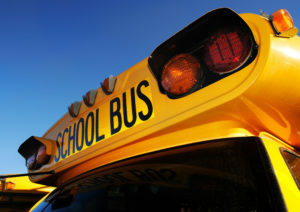 Barge said the K-12 system in Georgia is responding to these pipeline issues by adapting programs and ways of teaching. Georgia recently required all 9th grade students to choose a career pathway when entering high school. Itâ€™s never too early to expose students to career options, Barge said. In Georgia, this starts as early as elementary school and continues through high school to help students make informed choices about the post-graduation options. â€œThere is tremendous value of being exposed to what is out there before you get there,â€ Barge said. 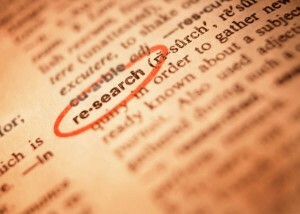 Be sure to check out the white paper along with the accompanying case studies, resources and checklists. Related:Â The Organisation for Economic Co-operation and Development has released a new country report looking at job creation and local economic development. Here is the full report, along with a sectionÂ on each country. Of particular interest would be the chapter on the United States. Although apprenticeships make up just 0.2 percent of the U.S. labor force, they are garnering more attention this summer thanks to recent reports, including from the White Houseâ€™s Ready to Work initiative and a set of policy recommendations from The Brookings Institutionâ€™s Hamilton Project. Despite such findings, the size of the U.S. apprenticeship system stands in stark contrast to other major developed countries such as Canada (2.2 percent), Britain (2.7 percent) and Australia and Germany (both 3.7 percent). In Britain, apprenticeships are coming back into favor after years of decline, much like the United Statesâ€™ system. Recent surveys show that students and the wider public have a â€œgrowing appetiteâ€ for apprenticeships. Federal investments would be one part of the approach to expanding the U.S. apprenticeship program. According to Lerman, the United States spends less than $30 million annually, whereas Britain spends about Â£1 billion (or $1.7 billion). If British spending on apprenticeships were adjusted to match the U.S. population, Lerman estimates that figure would be $8.5 billion. Be sure to check out additional apprenticeship-related recommendations from the Center for American Progress, through their series of issue papers as well.